Another in the series of pictures from my father’s collection that form part of the White Water Landings story. 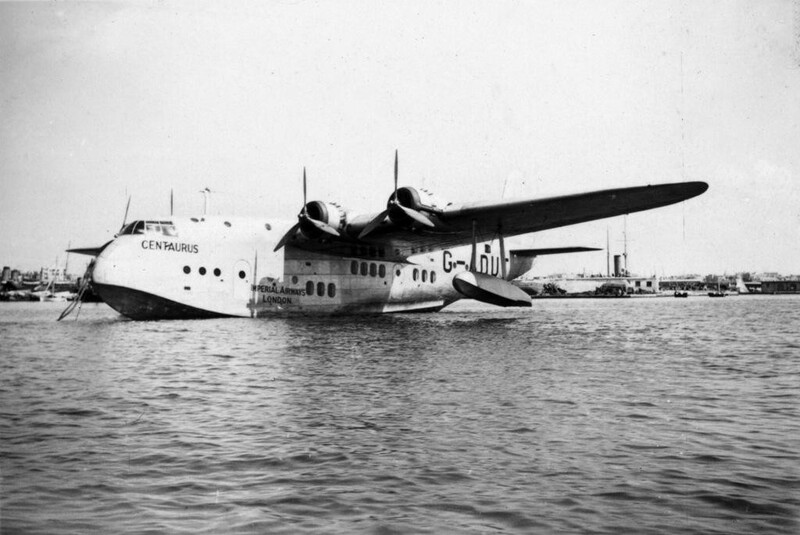 This month is the eightieth anniversary of the launch of Centaurus, the third Empire flying boat to be brought ‘out of the box’ as it were by Shorts at Rochester, but the second to be fully commissioned. The one in between Canopus, in the picture above, and Centaurus was commissioned, but then crated up to be sent across the Atlantic where it entered service some time later. Centaurus, on the other hand, was commissioned at Rochester by Captain Eggleton, with my father on board as Purser. He describes all sorts of interesting things about getting a commercial aeroplane tested in those days – stress tests, height, weight distribution, how the tail reacted under certain conditions – he had to crawl back through the fuselage to report back to the captain after they’d landed. That sounded very scary! Geoffrey was also on board when Centaurus made its maiden voyage in service, across Europe and down to Alexandria, where he left it to start his adventures in Africa. 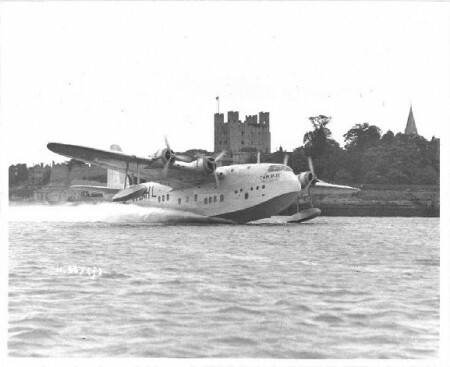 But first they had to make a detour to Southampton, to collect the air mail. The prime purpose of the Imperial Airways routes was to get the mail through to the British Empire, and this was the first ever Christmas air mail service, which was wildly successful. Geoffrey describes how he was on board Centaurus, floating at its moorings on Southampton Water, while the launch brought the sacks of mail across, and all hands were busy transferring the sacks into the hold, with Geoffrey directing operations, including telling one of the most senior managers of the company where to stow his bag! I think he got a kick out of that little operation. Unfortunately, Geoffrey had no pictures of his own of Rochester or of Centaurus. I’m grateful to the website Air-minded for the copy of the Rochester view of Canopus taking off, and to Mark Postlethwaite for the one of Centaurus at Alexandria below. Please contact these people if you wish to copy them for your own website.